Note: This is a Quick Start guide, you can refer to the sub-articles to this documentation if you need more informations on a particular subject. Once EZWebGallery is installed, it is ready to be launched. The application’s window is composed of three tabs, each one allowing to set-up a different aspect of your gallery. Configuration: inside this panel, you will define all the parameters that are necessary to the generation process ; the input directory containing all your photos, the title of your future gallery and so on. Appearance: defines all the visual aspects of the gallery. Here you can manipulate and apply custom skins. 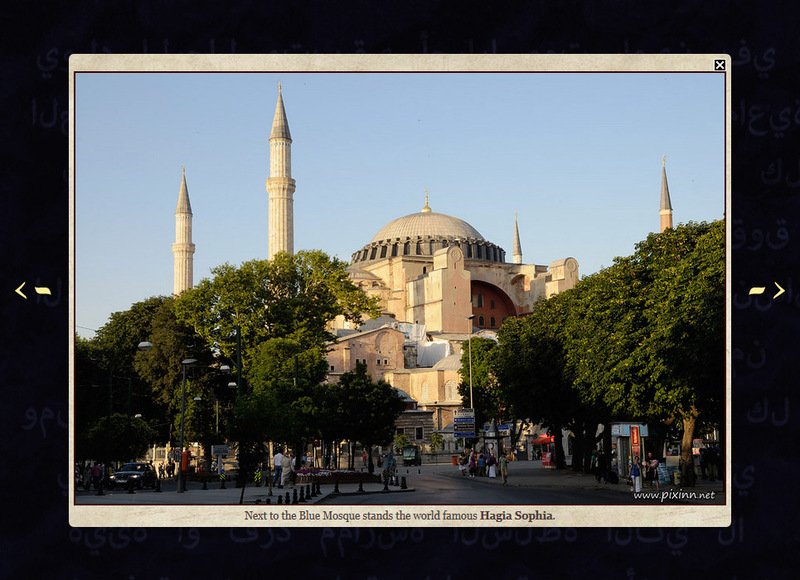 Photos and captions: allows to reorder the photos and optionnaly edit an associated caption. Once you are satisfied with the parameters and information provided , click on the Generate button, which will launch the generation process. Then all you’ll have to do is to upload the resulting files to your website, using an FTP client for instance. 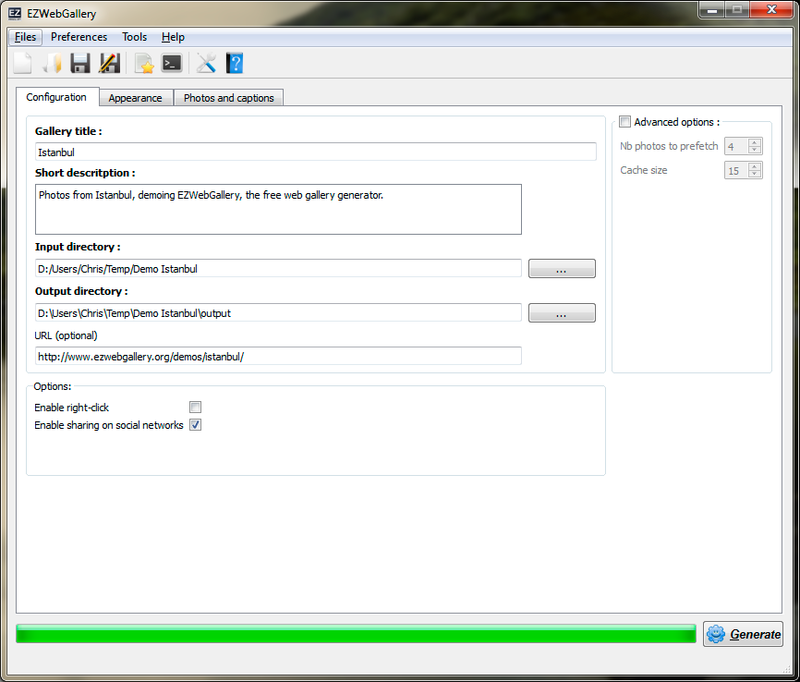 Only the basic options of the Configuration Tab are mandatory to generate a gallery. If you don’t want to mess with the two other tabs, you don’t have to! The photos themselves, displayed with above their caption. 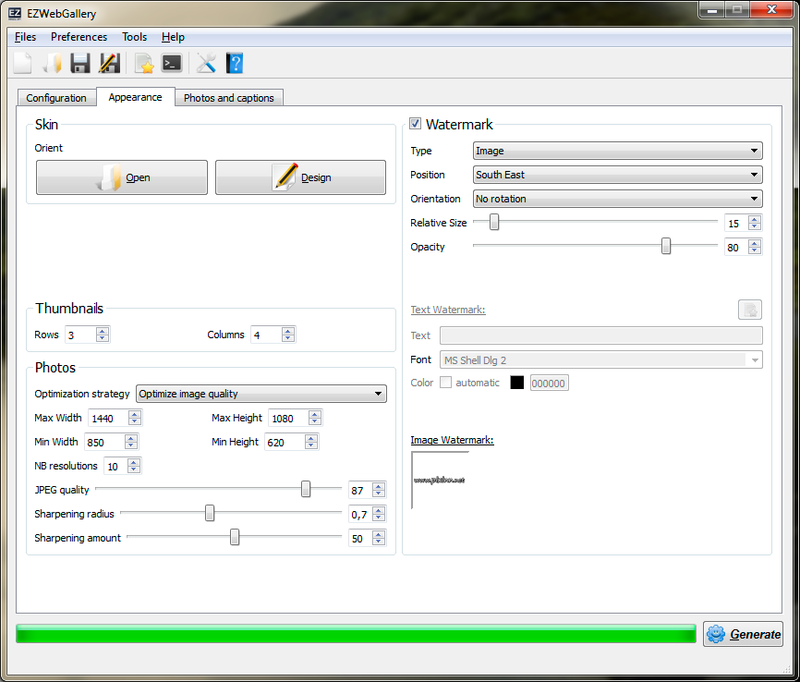 Lets have a quick look to EZWebGallery’s user interface! Enter the title of your photo album, the folder containing your pictures and the folder where you want the gallery to be generated in. The remaining fields and check-boxes are optional and we won’t see them in this Quick Start. For further information, you can refer to the other sub-articles of this online documentation. Skin in which you can load a predefined skin and apply it to the gallery. You can also choose to modify it or even design a new one from scratch. Read the correspondind article in order to learn how to use skins. 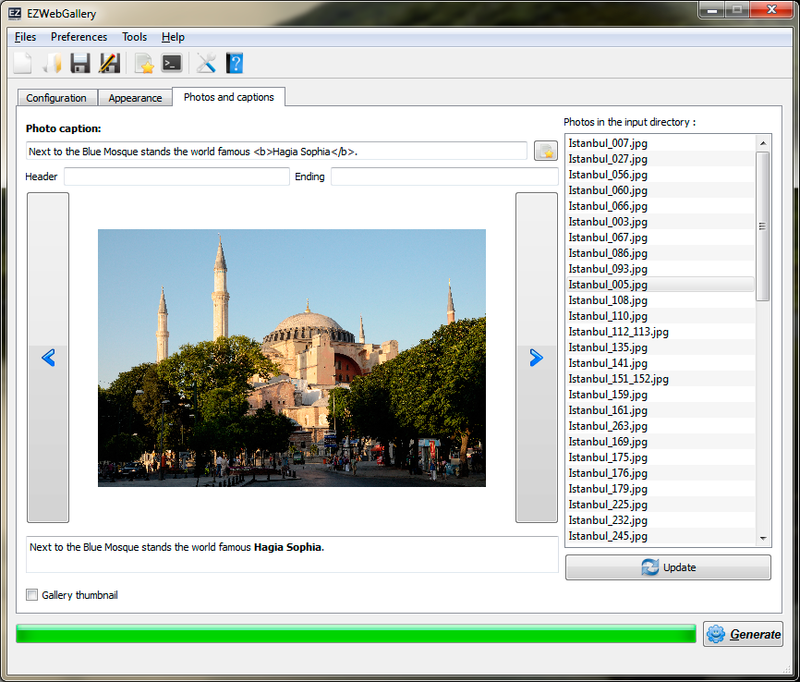 Thumbnails allows to configure the visual aspect of the thumbnail mosaic. In the screen capture above we choose to display the thumbnails in 4×3 mosaics. They will be dynamically sized to fit the screen estate of your visitors. The resulting 4×3 thumbnail mosaïc. 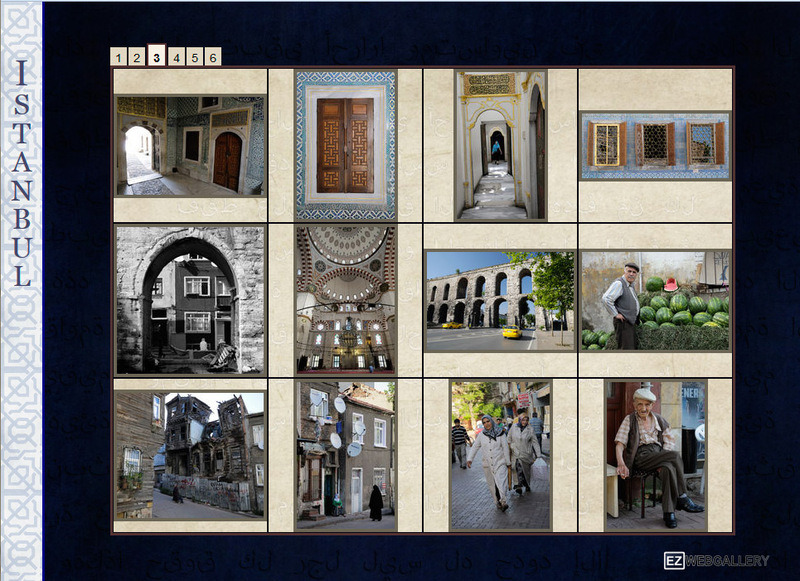 Notice that, as our album is composed of more photos than can be displayed with a single mosaic, there is a small tab line above it to browse the remaining photos. Photos to configure how the photos will be displayed. For now, we are only interested in the fields indicating the maximal size of a displayed photo together with its quality. You can leave the other fields and check-boxes unchanged or refer to this article for further information. A Watermark can be applied on each photo. A photo displayed with its associated caption. The watermark has been applied in a corner according to our choices. Here you can reorder the photos and optionnally type a caption. All the photos composing the gallery are all listed in the right part of the window while the actual photo you are working on is displayed above a live preview of its caption. You can now press the Generate button to automatically create the gallery. The resulting files will be placed in the output folder specified under the Configuration tab. All you have tot do now is to upload them to your website !